The Operation Round Up program was formed to assist charitable organizations, communities with special needs and individuals who have suffered from loss, personal disaster or medical emergencies. 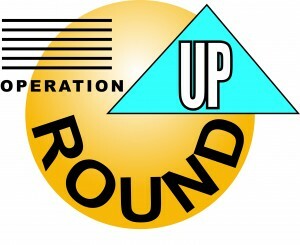 Operation Round Up funds stay right here in the MVEA service territory. Funds are used for the benefit of our members and not used to pay electric bills or for political or religious purposes. The program serves the needs of the people dealing with catastrophic situations that prevent them from sustaining basic needs. It is easy! Start contributing by clicking the “Sign Up Now” link above or by calling 719-495-2283 and we will simply round your electric bill up to the next whole dollar each month. The extra change – an average of 50 cents a month or $6 a year – is your contribution to the program. The most it can cost you is just under $12.00 a year! Contributions are tax deductible and your January bill will list your annual contributions. The program is administered by the volunteer Round Up Board of Directors, which is an independent board of community leaders who grant funds according the policies. MVEA is not involved in the determination of fund usage. Operation Round Up Individual Application (PDF) Please be sure to follow the checklist provided. Organizations and Agencies in MVEA’s service territory or who provide service to MVEA’s territory please fill out the Organization Application. Your application will be presented and reviewed at the next board meeting. Decision letters will be mailed out within the next two business days after the meeting. There is no need for special binding as copies of your application will be made for each director. The Round Up Fund Board meets in January, March, May, July, September and November. Applications received by the 25th day of December, February, April, June, August, and October will be considered at the following regularly scheduled meeting. If the 25th is on a weekend or holiday, the deadline will be the Thursday BEFORE the 25th. If you wish to serve on the volunteer Round Up Board of Directors, please complete this application and mail it to the Falcon location attention Round Up. The report attached is only for the prior 10 years. Additional years of financial information are available upon request. If you have questions contact the Operation Round Up Coordinator, by phone at 719-495-2283 or 800-388-9881.